This weekend is one of the last major opportunities to drink 2015’s Kent Green Hop Beer as around 20 are available at the 5th CAMRA Beer & Cider Festival and Autumn Diesel Gala at Spa Valley Railway, at Tunbridge Wells and other stations along the heritage railway. 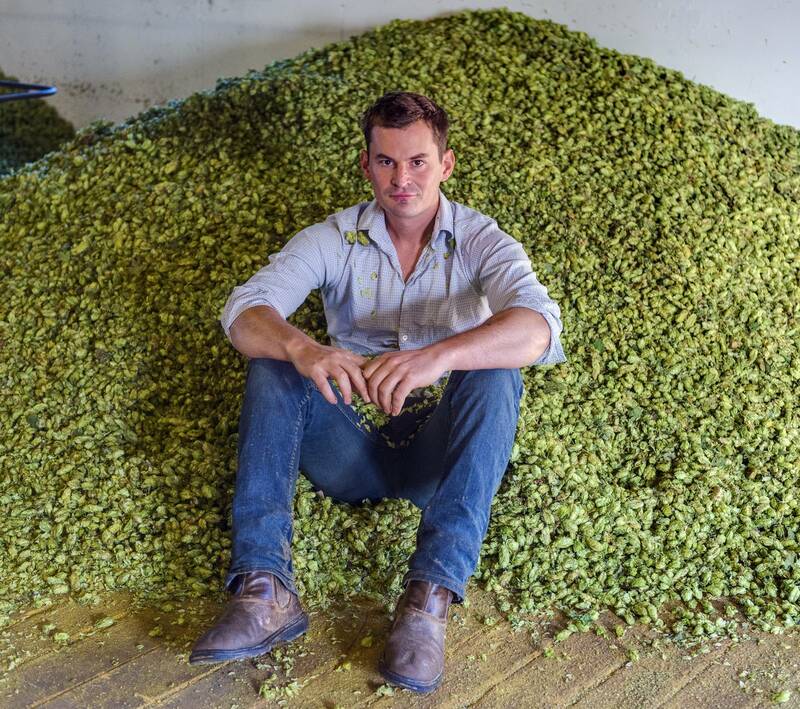 In recognition of this and as a sort of farewell news post for this years Kent Green Hop Beer Fortnight we meet one of the growers behind the hops we all love so much. Ross Hukins with some of his hops! Ross Hukins’ family has been growing hops in Kent for more than 100 years. He’s the fourth generation to grow them at Haffenden Farms in Tenterden. Kent Green Hop breweries who have sourced their hops from him include Old Dairy, Caveman, Wantsum and Hop Fuzz. 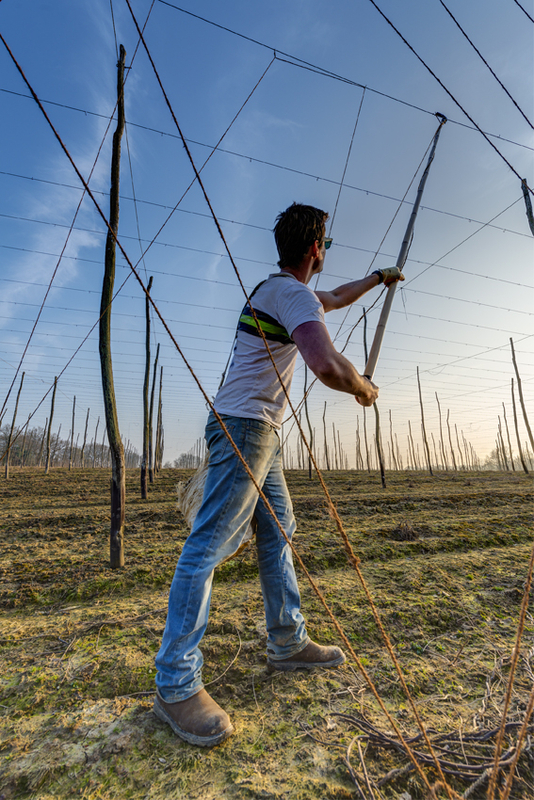 “Being a hop grower begins with passion for both hops and beer!” says Ross. “Hops are notoriously difficult to grow to a high grade with consistent year on year yields so detail and understanding of every step in the process is vital. A mistake at any stage in the season knocks on and can cost you later on. “The year starts with the hand and pole stringing of every hop hill [a small mound of earth from which each bine grows] on the farm – 1,000 to the acre! Then, each individual hill’s hop shoots must be trained up the strings. This takes six weeks in April/May. After this the hops need constant crop husbandry to assess nutrient, pest and disease problems and requirements. We also regulate water intake with trickle irrigation allowing us to cope with increasingly dry summer conditions. Once the hops are full and ripe we have team of more than 20 people to pick, dry and press our hops,” explains Ross. Do hop growers drink beer? Of course they do! 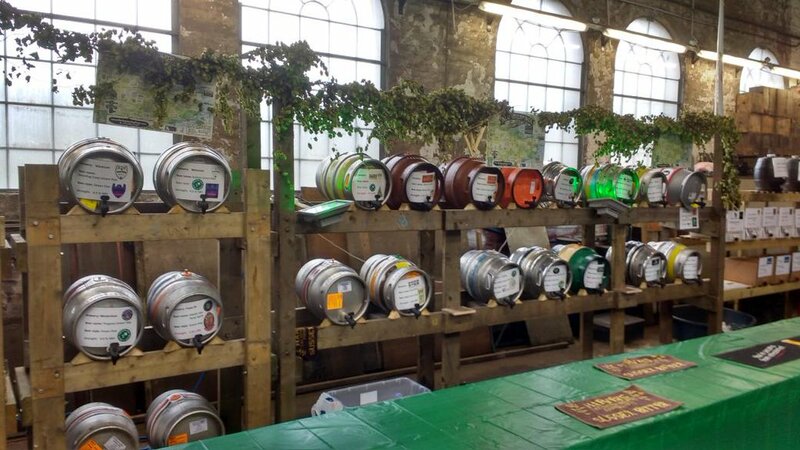 Full details – including a link to the beer list – of the CAMRA/Spa Valley beer festival which takes place (starting today) 23 – 25th Oct inclusive can be found here. If you’re quick you’ll be able to sup a pint from Hop Fuzz, Bexley Brewery or Wantsum Brewery all featuring Hukins Hops as well as many other Kent Green Hop Beers. Don’t forget to tell us about your favourites and tweet what you’re drinking @KentGreenHop.